Here are some false statements. Identify the mistake in each case and rewrite these correctly based on what you have read in this chapter. (d) A constitution can be amended. Which of these was the most salient underlying conflict in the making of a democratic constitution in South Africa? The most salient underlying conflict in the making of a democratic constitution in South Africa was between the white minority and the black majority. Which of these is a provision that a democratic constitution does not have? (b) What pledge did he want the makers of the Indian Constitution to take? (c) “The ambition of the greatest man of our generation has been to wipe every tear from every eye”. Who was he referring to? (a) Nehru used the term ‘not wholly or in full measure’ because according to him the task they had undertaken was not complete. Here are some of the guiding values of the Constitution and their meaning. Rewrite them by matching them correctly. (a) Sovereign (i) Government will not favour any religion. (b) Republic (ii) People have the supreme right to make decisions. (c) Fraternity (iii) Head of the state is an elected person. (d) Secular (iv) People should live like brothers and sisters. (a) Sovereign (ii) People have the supreme right to make decisions. (b) Republic (iii) Head of the state is an elected person. (c) Fraternity (iv) People should live like brothers and sisters. A friend from Nepal has written you a letter describing the political situation there. Many political parties are opposing the rule of the king. Some of them say that the existing constitution given by the monarch can be amended to allow more powers to elected representatives. Others are demanding a new Constituent Assembly to write a republican constitution. Reply to your friend giving your opinions on the subject. Here are different opinions about what made India a democracy. How much importance would you give to each of these factors? (c) We are lucky to have leaders who had democratic convictions. The denial of democracy in several other newly independent countries shows the important role of these leaders. Read the following extract from a conduct book for ‘married women’, published in 1912. ‘God has made the female species delicate and fragile both physically and emotionally, pitiably incapable of self-defence. They are destined thus by God to remain in male protection − of father, husband and son − all their lives. Women should, therefore, not despair, but feel obliged that they can dedicate themselves to the service of men’. Do you think the values expressed in this para reflected the values underlying our constitution? Or does this go against the constitutional values? The given paragraph reflects the patriarchal values. It promotes the idea of inequality of genders. This is contrary to the spirit of equality promoted by the constitution. Read the following statements about a constitution. Give reasons why each of these is true or not true. The constitution is the supreme law of a country. It is the foundation of a democratic entity. The rules laid down in the constitution are the bases on which all the other laws are framed. Hence, it follows that the constitutional rules have the same authority, perhaps even greater, as any other law of the country. The constitution lays down the framework for government formation. It defines in detail the composition and functions of the different organs of government, namely the executive, the judiciary and the legislature. The constitution lays down the fundamental rights of every citizen of the country. These rights are enforceable in a court of law. By defining the structure and functions of the different organs of government and by making them independent in their own spheres, yet keeping each organ under check by the other organs, the constitution ensures that there are proper limits to the powers exercised by the government. 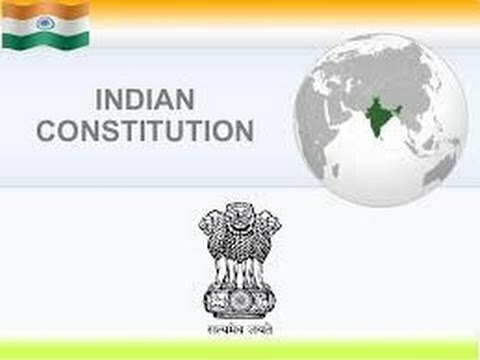 A constitution lays down the composition and functions of the different institutions of government, thereby providing the framework and laws for the working of these institutions. However, in providing such laws and frameworks, it is strongly guided by democratic principles and values. Hence, a constitution is as much about values as it is about the institutions based on these values.